On Saturday, August 18, Del Mar Fans and Lighting hosted their fifth beach clean-up. From 9 am until 10 am, about 25 individuals came together at the Neptune Approach in Ormond Beach. After walking the beach, the trash collection weighed in at about 25 pounds. Along with the great feeling of service, the group enjoyed snacks, sunshine, and salty air. The tracks of sea turtle hatchlings trailing through the sand was a special surprise for many as well! 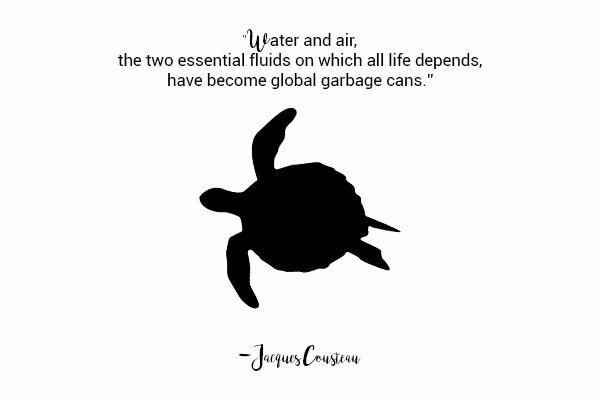 “Water and air, the two essential fluids on which all life depends, have become global garbage cans,” said Jacques Cousteau. Cousteau played a significant role in the environmental movement and worked with Emile Gagnan to develop the first scuba equipment. With over 115 television films and 50 books, Cousteau introduced the underwater ocean world to many. Along with this, Cousteau also brought awareness to the overwhelming presence of trash residing in our oceans. According to the Ocean Conservancy, who works to find “long-term solutions that promote a healthy ocean, abundant wildlife, and thriving coastal communities”, volunteers have collected 228,919,809 pounds of trash since 1985. As of 2015, National Geographic reported that there were an estimated 5.25 trillion pieces of plastic debris in the ocean. 4Ocean, a company which sells bracelets to fund beach clean-ups, supports this by pointing out that one garbage truck worth of plastic is dumped into our ocean every minute. Ocean pollution and ocean preservation are topics which are very familiar to everyone at Del Mar Fans and Lighting. Whether it’s family beach days, surfing, or fishing, everyone at Del Mar has their own reason for loving the local beaches. However, we can all see the harm that has been occurring to all of our oceans. Matt, Del Mar Fans’ Digital Marketing Manager, is a PADI (Professional Association of Diving Instructors) certified divemaster, and remarks on the visible trash that he sees throughout his dives very often. “Rarely is there a dive where I do not see something from the human world that has made its way down to the depths. Fishing line, netting, lures, beer cans, and jagged bits of metal and plastic are common." "Plastic is particularly harmful, as it doesn't break down over time. Sea life gets caught in it, or ingests it, causing harm. Many divers carry mesh bags in order to bring up what does not belong, or participate in coordinated efforts with other divers -- kind of like a beach cleanup on the ocean bottom” Matt notes. For more information about those types of activities, Matt suggests looking at Project AWARE’s Dive Against Debris. 1. Avoid plastics bags, and plastic products when coming to the beach. Plastic pollution not only takes longer to decompose, but it can also harm wildlife through ingestion and by destroying habitats. 2. Throw any and all trash away. We should always be cleaning up after ourselves, but we can also clean up trash that isn’t ours. If you see trash pick it up. If we all use the excuse “it isn’t mine”, then we will never have clean beaches. If you can use something again, such as bottles, make sure to do this to avoid creating more waste. Also, it saves you money! 4. Avoid using products which contain microbeads. Soaps and scrubs which contain microbeads have continued to receive news coverage as they are growing source of pollution. Avoid products which contain “polyethylene” and “polypropylene”. “What they don’t know can’t hurt them” is certainly not always true. Especially in the instance of our environment. If you have the chance, spread the knowledge so that we can all work together to achieve healthier beaches and a population which is more aware. One of Del Mar Fans and Lighting’s core values is philanthropy. 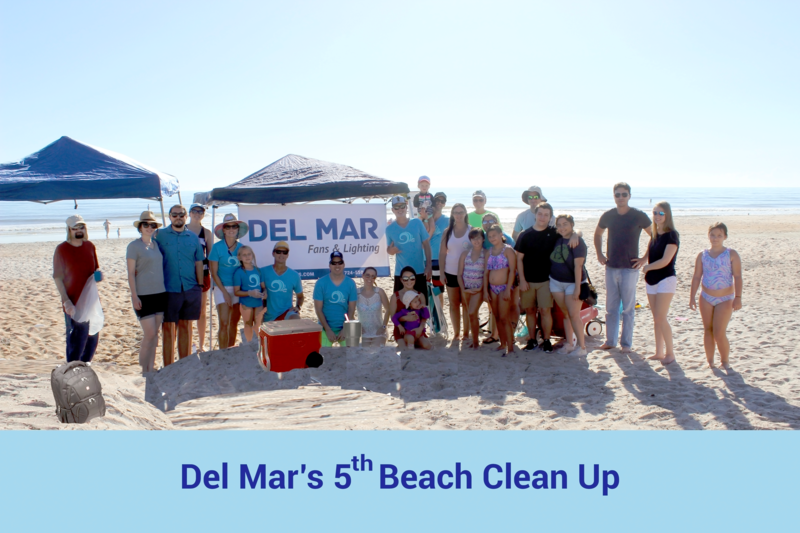 Aside from the quarterly beach-clean-up, Del Mar has also supported the Habitat for Humanity, Winward Behavioral Care, WORC, Inc., and the Salty Church. Click below to follow Del Mar Fans and Lighting on Facebook and be updated with any upcoming events they are hosting. What does your family do to help keep the planet clean? Comment Below.